Celebrate St. Patrick's Day at the Creek! Green Wine & Irish Fare Specials all day. 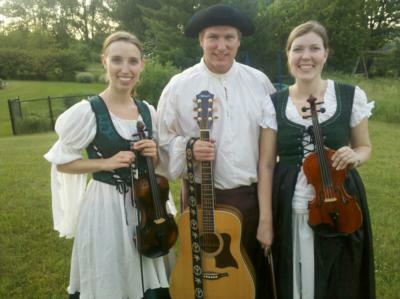 Live Celtic Music with the Foxtree Celtic Band from 3pm-5pm, made up of fiddlers and professional string musicians, Foxtree is a group that has evolved over the past few years playing Celtic, bluegrass, rock and popular music.